Coating: Treatment consists of attaching small containers / cans to the skin by sub-pressure, to cause localized swelling. The suppression is achieved by heating the can through a glowing material that allows free flow of qi and blood into the body's ducts / veins. This results in reduced swelling and pain, and cures colds and general stagnation. The most common uses are against colds, back pain, sports injuries and to promote general well-being and health. This method has traditionally been used in China for more than 2000 years. It is well known that different plants have different properties and functions. Some plants can kill a human in one minute, others create addiction, so why would other plants not be able to work in different disease states? 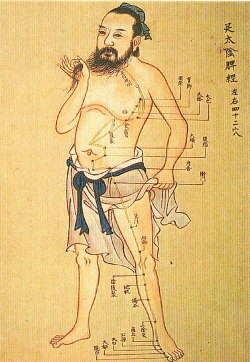 Auriculotherapy is a very old form of treatment mentioned in the ancient TCM classics of Huang Di Nei Jing 200 BC. The book described the connection between the outer ear and various parts of the body. By stimulating certain points on the outer road, body functions can be regulated.